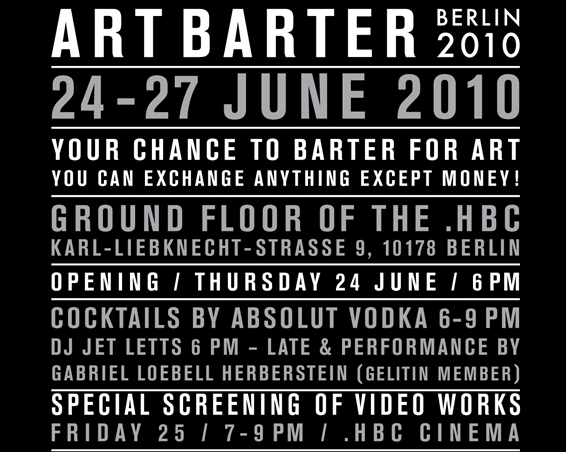 Art Barter is a platform for free exchange between artists and the public. 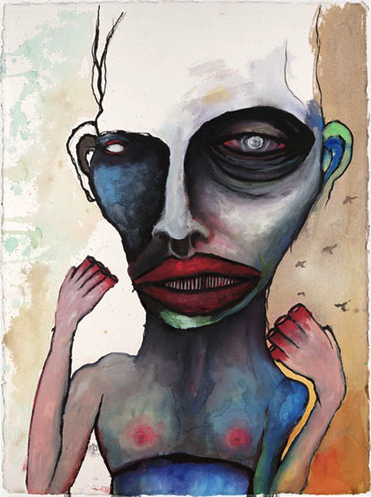 The first Art Barter show was held in November 2009 at The Rag Factory in London where 50 artworks were on display without artist’s names, titles, prices or descriptions being attached, thus leaving the viewer open to a pure aesthetical interpretation. After the successful launch of its first show in London last year, which featured artists such as Tracey Emin, Gary Hume, Gavin Turk and Mat Collishaw, Art Barter has now landed in Berlin. 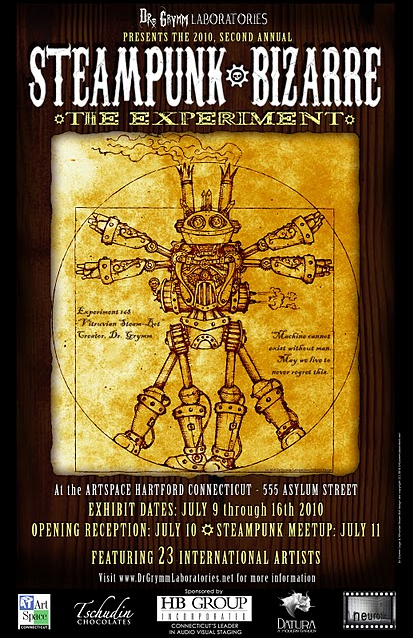 The 2nd Annual Steampunk Bizarre Art Exhibit opens July 9 and will run through July 16, 2010 at the Hartford Art Space. The exhibition will feature the work of 23 local and international artists to share their vision of what Steampunk is and will be. The Exhibit will be alive with sights and sounds of ingenious and strange contraptions set in a themed atmosphere. Visit Dr. Grymm Laboratories for more details and a list of participating artists. An infographic video documentary titled “Waiting For Superman” by TakePart: Participant Media highlights what’s really wrong with America; our children’s education. The statistics are staggering. Like snapshots of a moment in time, Heather Sherman’s photos capture brief glimpses into the lives of the people she paints. 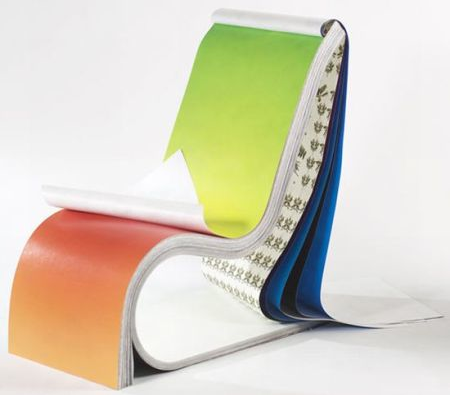 The obvious use of white space guides you to focus intently on the subject matter. 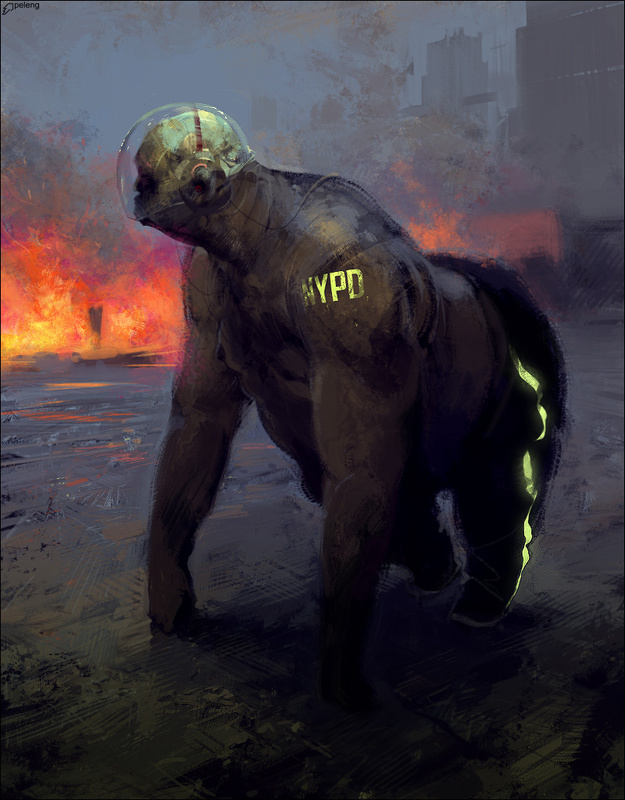 Russian artist Sergey Kolesov aka Peleng produces some fantastic CG art.